Compare Chazelle's list to audiences' top 10 list of favorite Los Angeles movies as well. The new romance musical “La La Land” will hit New York and Los Angeles this Friday, but the film has already garnered widespread acclaim from critics and audiences on the festival circuit and recently received the Best Film award from the New York Film Critics Circle. The film follows a musician (Ryan Gosling) and an aspiring actress (Emma Stone) who meet and fall in love in the heart of Los Angeles. In honor of his new film’s release, Fandango asked Chazelle for his top 10 Los Angeles films. Additionally, Fandango polled more than a thousand moviegoers for their favorite L.A. movies. Though there’s some overlap with Chazelle’s list, most chose different films, including “Clueless” and “(500) Days of Summer.” Check out their picks below. For even more L.A. movies, peruse a curated list of Los Angeles films courtesy of Fandango’s newest video service FandangoNOW. Plus, watch a mashup video of classic Los Angeles movies below. “La La Land” opens in New York and Los Angeles on December 9. It will expand to additional cities on December 16 and then will open nationwide on January 6, courtesy of Summit Entertainment. Advance tickets are on sale now from Fandango. 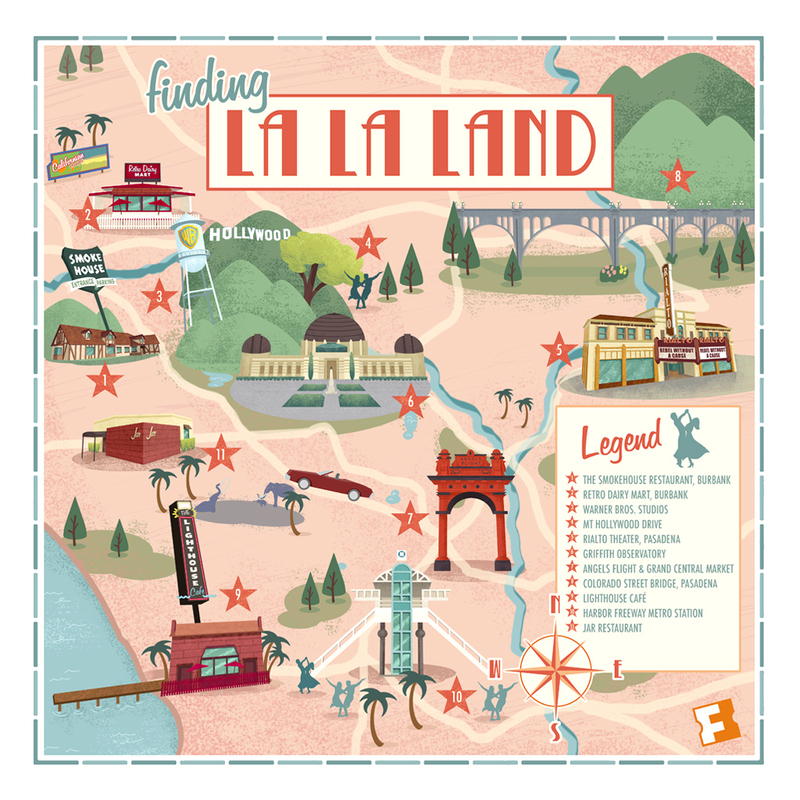 In the meantime, take a look at the “Finding La La Land” map that points out all the locations in the film below.